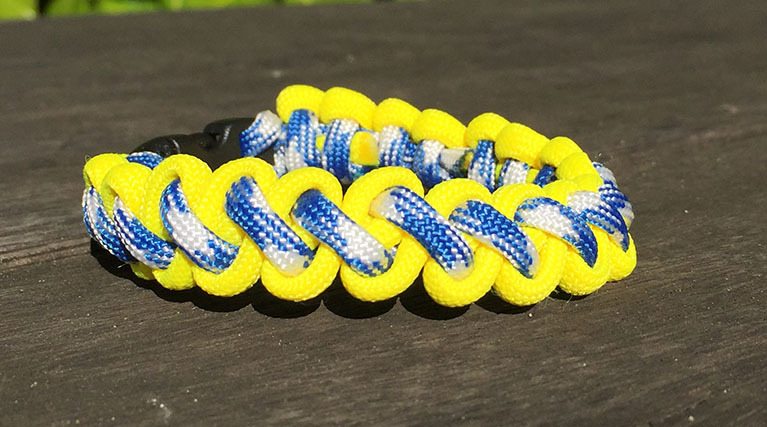 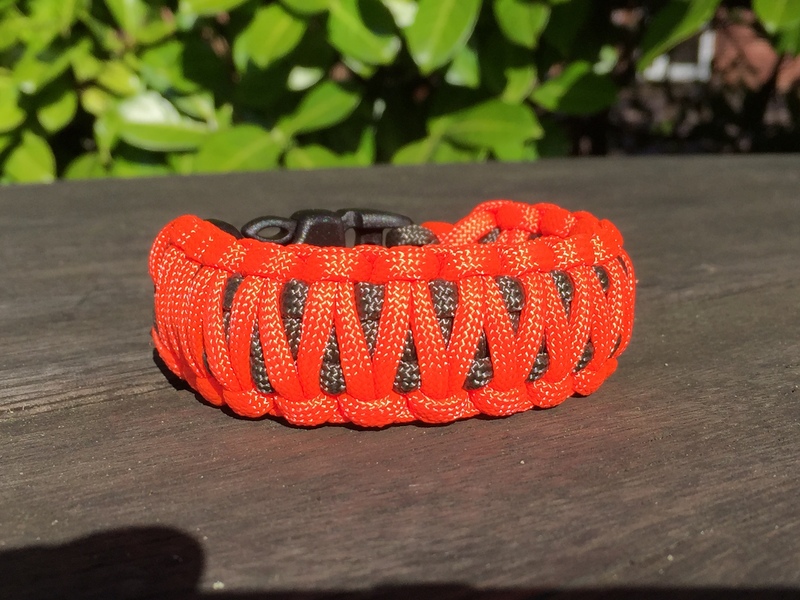 Two colour King Cobra Survival Bracelet. 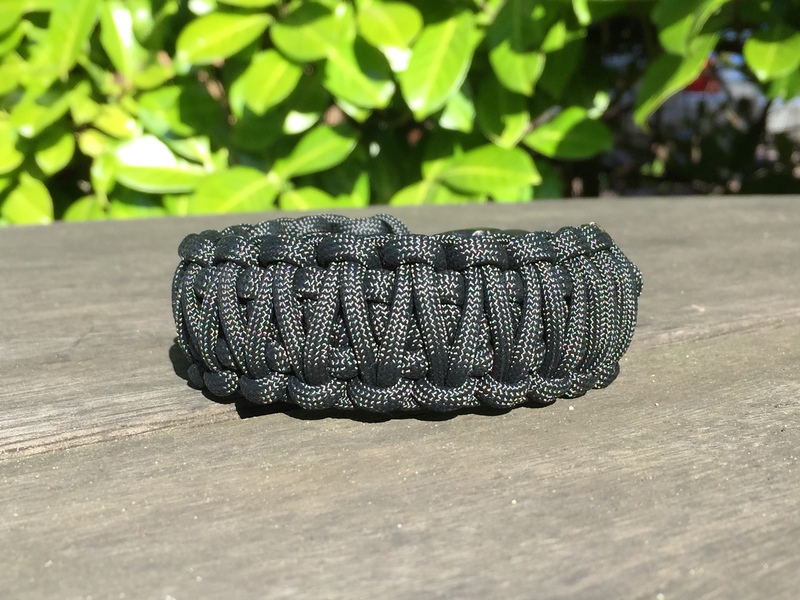 Heavy duty and practical. 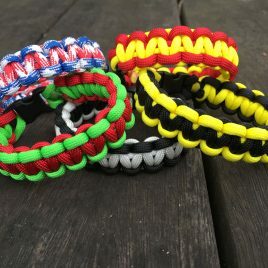 Band Size Choose an optionSmall 5.5"-6.5"Medium 6.5"-7.5" MOST POPULARLarge 7.5"-8.5"X-Large 8.5"-10"
The King of all paracord bracelets. 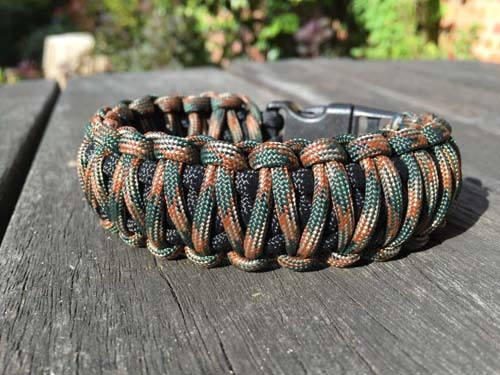 This survival bracelet is a heavy duty, bangle style giving it more of a bangle appearance. 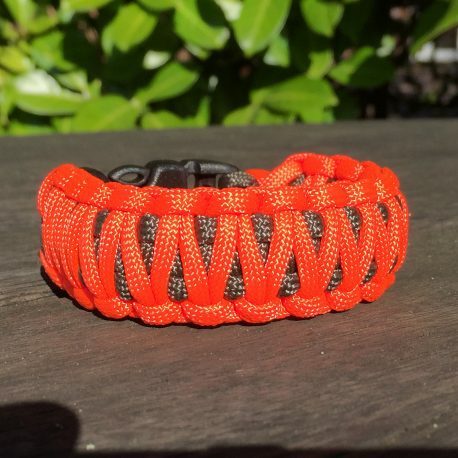 Looks great in black with safety orange. 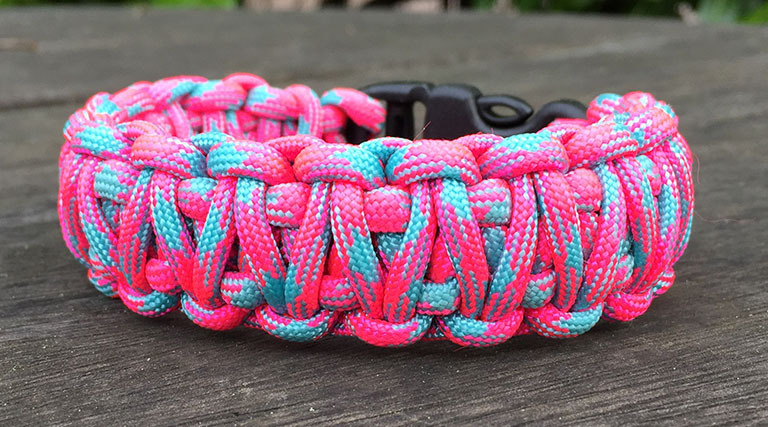 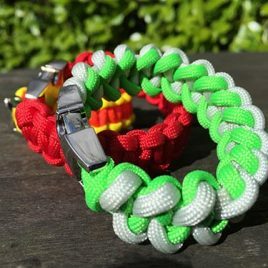 Two lengths of paracord 550 make up this survival bracelet so you can just use the outer length of 6-8ft, leaving you a standard cobra survival bracelet underneath. 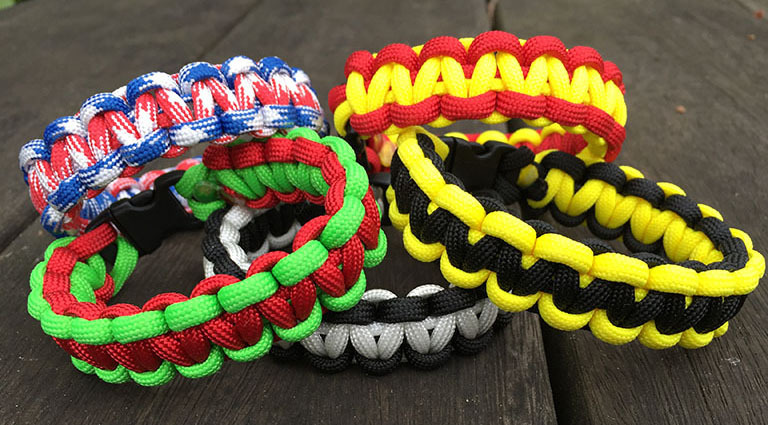 Small 5.5"-6.5", Medium 6.5"-7.5" MOST POPULAR, Large 7.5"-8.5", X-Large 8.5"-10"
5", 5.5", 6", 6.5", 7", 7.5, 8", 8.5", 9", 9.5"
A light to mid weight survival paracord bracelet. 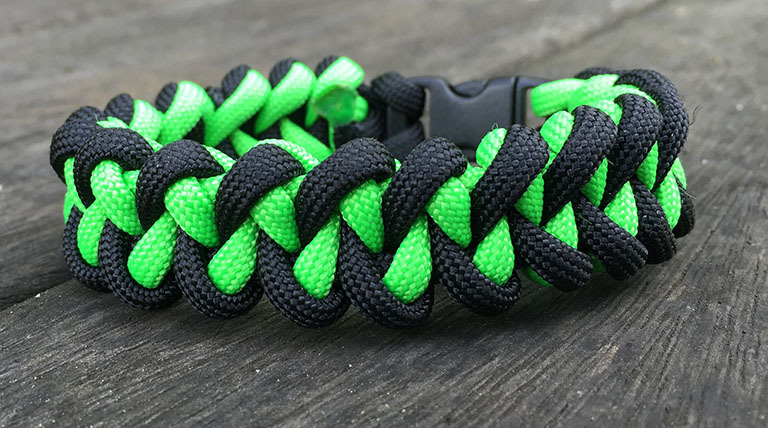 Great as a fashion accessory as well as practical. 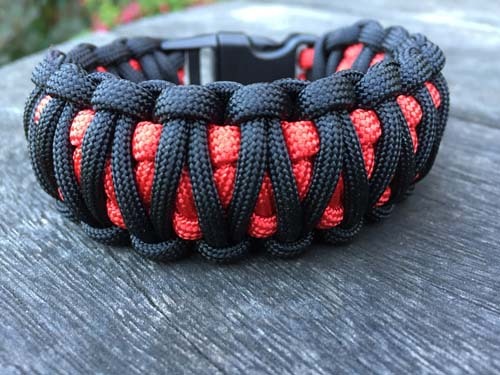 The Viper / Jawbone Paracord Survival Bracelet from Survival Bands UK is a great looking design. 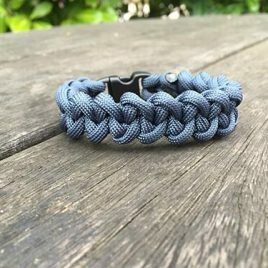 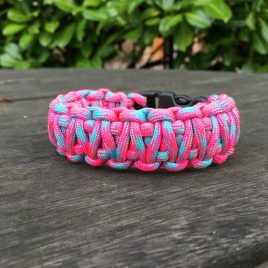 A light to mid weight paracord bracelet looks great yet is practical. 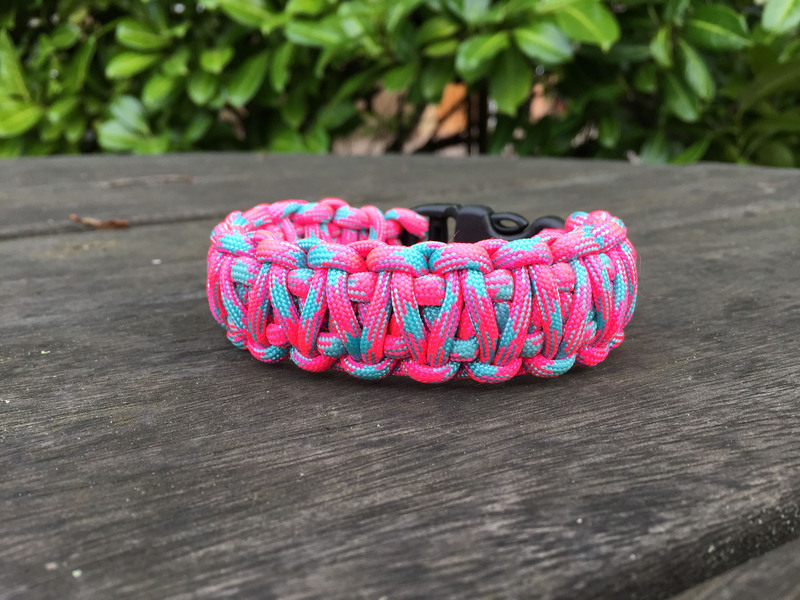 Single / Two Tone colour King Cobra Choice of colours, including the two tone paracord clouds. 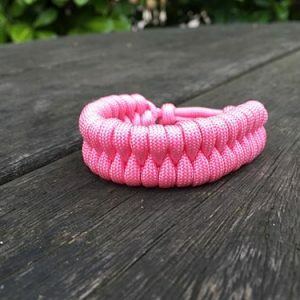 If you would like two different coloured lengths of paracord please go to the Double Colours section.